It is carrying instruments to characterise the region’s geology, as well as a biological experiment. State media called the landing “a major milestone in space exploration”. While past missions have been to the Earth-facing side, this is the first time a craft has landed on the unexplored far side. The probe has sent some first pictures from the surface. With no direct communications link possible, all pictures and data are first sent to a separate satellite and then relayed from there to earth. The BBC’s China correspondent John Sudworth says that more was at stake than just science: the propaganda value of a leap forward in its space race ambitions was underscored by the careful media management – with very little news of the landing attempt before the official announcement that it had been a success. Targeting the far side has turned this mission into a riskier and more complex venture than its predecessor, Chang’e-3 – which in 2013 touched down on the near side of the Moon, in the Mare Imbrium region. China’s latest moon shot will pave the way for the country to deliver samples of lunar rock and dust to Earth. 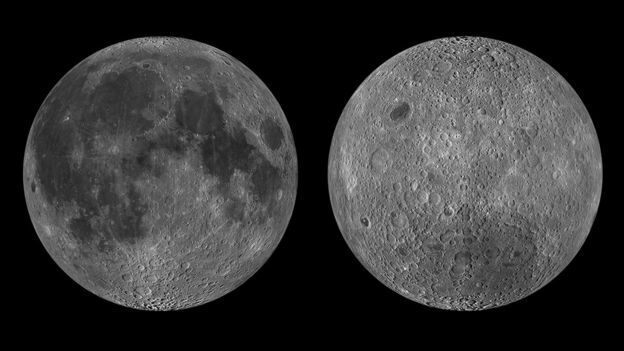 Because of a phenomenon called “tidal locking”, we see only one “face” of the Moon from Earth. This is because the Moon takes just as long to rotate on its own axis as it takes to complete one orbit of Earth. The Chang’e-4 probe is aiming to explore a place called Von Kármán crater, located within the much larger South Pole-Aitken (SPA) Basin – thought to have been formed by a giant impact early in the Moon’s history. “This huge structure is over 2,500km in diameter and 13km deep, one of the largest impact craters in the Solar System and the largest, deepest and oldest basin on the Moon,” Prof Coates said. The event responsible for carving out the SPA basin is thought to have been so powerful, it punched through the outer layer of the Moon, known as the crust, and down into the zone called the mantle. Researchers will want to train the instruments on any mantle rocks exposed by the calamity. A third objective is to study the far side regolith, the broken up rocks and dust that make up the surface. “The in-situ composition information in particular will be hugely valuable in understanding the formation of the Moon,” Mr Coates explained. 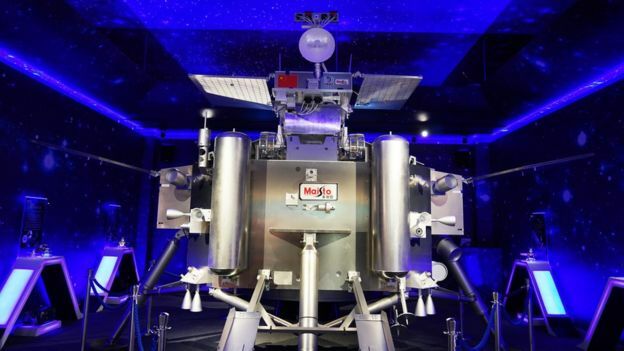 The lander and rover were originally built as back-ups for 2013’s Chang’e-3 mission. However, they have received important modifications for the ambitious touchdown on the far side. The rover also carries a panoramic camera; a radar to probe beneath the lunar surface; an imaging spectrometer to identify minerals; and an experiment to examine the interaction of the solar wind (a stream of energised particles from the Sun) with the lunar surface. Thus, the landers must communicate with Earth using a relay satellite named Queqiao, launched by China in May this year. Queqiao orbits 65,000km (40,000mi) beyond the Moon, around a Lagrange point – a kind of gravitational parking spot in space where it will remain visible to ground stations in China and other countries such as Argentina. The lander and rover was launched from Xichang Satellite Launch Center in China on 7 December; the vehicles arrived in lunar orbit on 12 December.